Spring,1938. Vienna and all of Austria are under the willing control of Hitler’s Nazi Germany. Persons deemed political threats are routinely arrested and sent to the newly built concentration camps that would later become infamous throughout the world. Many never returned. Henry Glass was one of those arrested. Twenty-six years old and married to his love, Elly, for less than a year, Henry was a successful architect from a well-to-do Jewish family. After being secretly reported to the authorities for reasons that remain obscure, Henry was visited by the SS and ordered to leave Austria within ten days. Not appreciating the danger he was in, Henry flatly refused to leave his homeland and was immediately arrested. Less than 30 minutes later he was on a transport to Dachau Concentration Camp. His wife, Elly, only twenty-three years old, worked desperately to secure his freedom. 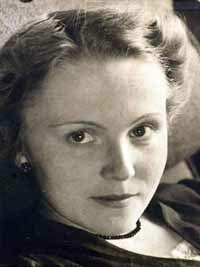 Week after week, month after month, she pleaded fruitlessly with local agencies for assistance and regularly visited the local Gestapo headquarters petitioning for Henry’s release. Convinced she would never be successful dealing with local authorities and deeply fearful for Henry, Elly determined to make the 600 mile journey to Gestapo headquarters in Berlin. With the help of a Dutch attorney whose name is lost to the years, a meeting was arranged with a high ranking officer. Elly says his face still comes to her in the night. What is known is at the end of the meeting the officer promised Elly her husband would be released in ten days. And he was. Henry was again given 10 days to leave the country. This time he did not argue. He booked passage, and arrived in New York in March 1939 with the clothes on his back and a suitcase. Elly, who had taken ill and had to settle their affairs in Vienna arrived in May, with little more. With little money, less English, and few prospects, they started over. Henry peddled his furniture designs to local companies and worked for architect Gilbert Rohde designing buildings for the 1939 World’s fair. Elly designed and made dresses and dreamed of opening a shop of her own. In a year they saved enough to move out of the rat infested boarding house they lived in. In 1942 with work drying up in New York, Henry and Elly moved to Chicago where they remained. Henry opened his own design firm and prospered. Elly gave up her dream of designing clothes to support Henry in his career and begin a family. In 1948, always ahead of his time, Henry designed and built one of the first passive solar houses in the country. Elly lived there until her death in 2010.